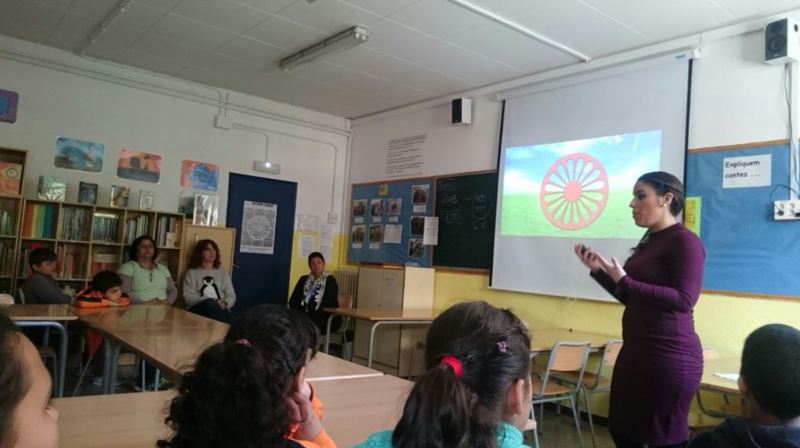 Jelen Amador, a 27-year-old PhD student, is a member of the Drom association, aiming to promote access to university for the Roma community by giving informative sessions in high schools. One day, on her way back from university, Jelen Amador met a friend at the Zona Franca Market, in Barcelona, where her parents had a stall. 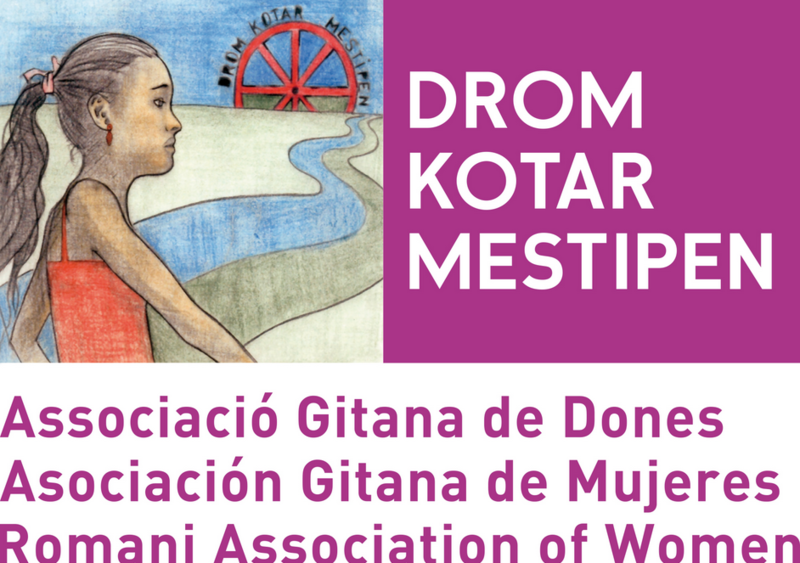 Her friend told her that an organisation, the Drom Kotar Mestipen, an association of Roma women, was organising meetings of Roma women studying in universities in Catalonia. 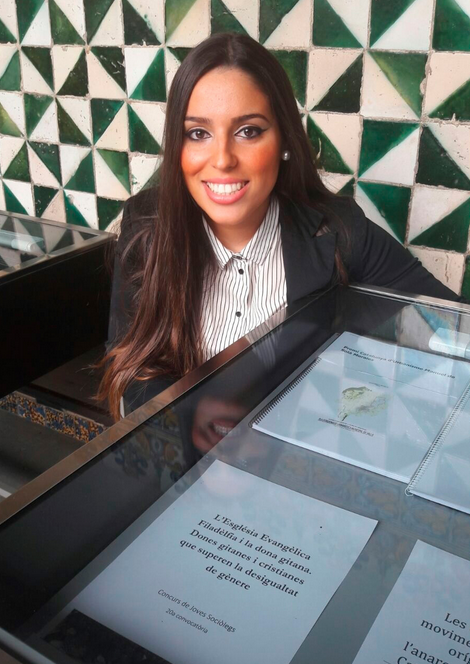 Amador immediately liked the idea of participating; she, before starting to study Law, was looking for a Roma woman who had made it to university. She found none. Amador joined the association right away; the name of it means “path of freedom” in the Roma language. In the framework of the project “Dreaming a future”, she started going to schools to motivate teenagers to pursue a higher education. That is how she passed from searching for references to becoming one herself. 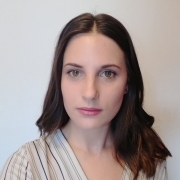 After completing her degree, and being awarded the Institut d’Estudis Catalans Young Sociologists’ Award 2016, she is now working on her PhD thesis on transforming the gender inequalities in the Roma people and in the Philadelphia Evangelist Church. Her dream is to become a university professor and continue fighting to bring down the myths around minority groups like hers. Have prejudices against the Roma community dropped in recent years? We are witnessing a wave of racism, there is a surge in discrimination and, in Europe, there are many examples that show that stereotypes against the Roma community are very much alive. However, we are talking of a new form of racism, post-modern racism. We no longer say that Roma people are better or worse, but different. This means that being a Roma person does not mean they shouldn’t go to university, so their difference should be respected and leave them to continue working in the “flea market”. We shouldn’t encourage them to pursue a quality education, because then we’d be robbing them of their identity, we would be pulling them out of the Roma identity. It’s a shame because nowhere does it say that belonging to the Roma ethnicity should mean being illiterate or not going to university. In the end, we are attributing to the ethnic identity the consequences of poverty and exclusion. Have you ever come across any barriers to gain access to university? At first sight, nobody has ever identified me as a Roma woman, maybe because of my physical traits. But I have heard many derogatory comments towards the Roma community and when I react then they realise I am Roma. I did feel very lonely when I finished high school. I was living in two parallel worlds when studying my baccalaureate. One world at home, with my family, my friends and in Church; and another one at high school. I had no Roma friends there, nor teachers. When I think about it, in class they’ve never explained the Roma history to me. Until I was older I never knew that the Roma community had been a victim of the Nazi extermination. Loneliness makes you wonder if the path you’ve chosen is the right one. You wonder whether it’s true that this path isn’t made for Roma women. Maybe when I go to university I’ll stop being a Roma woman…these are things that crossed my mind. Now that you have a degree, what is the answer? I always say no; now that I have finished my degree, I feel more Roma than ever, because after completing my training, I can defend the community better. 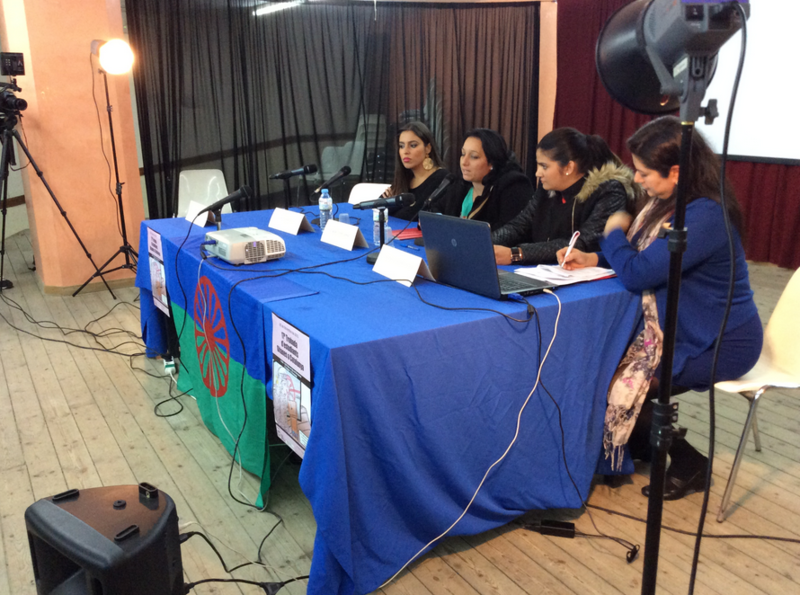 Which are the basic lines to improve education among Roma women? One of the fundamental demands is to raise expectations among students. That teachers will encourage them to go on studying. They must be given the opportunity to go to university. At the high school where I studied there were three groups. In group A you found the students that distinguish themselves, who would probably make it to university. In group C you had those who would never reach university. Everyone assumed that the most they would get was their primary school diploma. And it is by no means a coincidence that most Roma students are put into group C. I’ve been told that there are schools where girls are taken out of class and made to paint or work in the school vegetable garden. Through the project “dreaming a future” at Drom you work to avoid this school segregation. With our informative sessions we want to fight against the lack of references, which is one of the biggest problems of the Roma community. When you look around you and don’t find a single person who has been to university, your horizon of possibilities just shrinks. The lacking references, poverty and discrimination all make them lose hope and they choose to drop out from school. Do you go to visit concrete schools? Do you focus exclusively on Roma students? We focus on students in Secondary Education and Baccalaureate in schools with a high proportion of Roma students. For instance, in May we will be visiting the Institut Montjuïc and we also plan to visit some schools in the Zona Franca neighbourhood. It is true that we focus especially on Roma women, because they face a triple discrimination: because they are women, Roma and have no higher education. Nevertheless, these informative sessions also aim to benefit members from other minority groups and reach out to all other studies. In doing so we give visibility to a different image of Roma women. Is the number of Roma people accessing university growing? Yes, policies are being put in place. 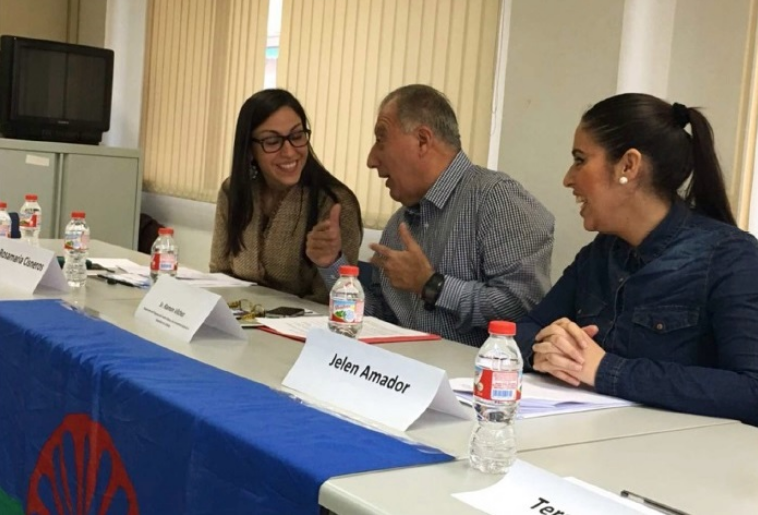 For instance, I’m an English teacher for university access exams for people aged 25 and older, because the Pla integral del poble gitano (Comprehensive plan for the Roma people) has promoted this course especially for Roma people. And this is good to change the reality of the Roma people through education.